Today I want to welcome my good friend and mentor Sara Duggan from Crochet Business Blog. She recently published her second edition of Hooking for Cash: 10 Ways to Earn Money with Your Crochet Blog. You can read my review of the book here. 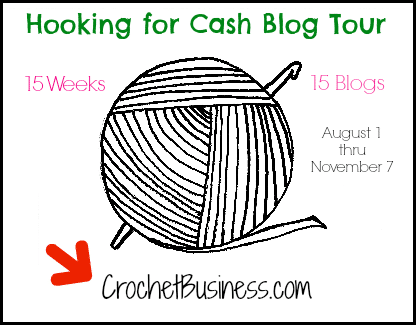 In an effort to promote her new book, Sara is doing a Crocheting a Business Blog Tour – August 1 – November 7, 2013 – during which she will appear as a guest on 15 blogs in 15 weeks. Talk about having your work cut out for you. 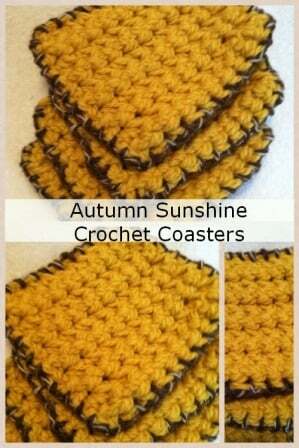 Sara enjoys to crochet and design her own crochet patterns. 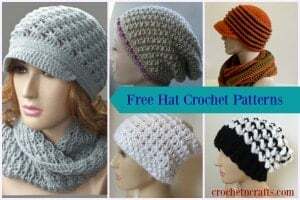 She shares them online for free at her crochet business blog. In addition, Sara also helps other crocheters succeed at making money with crocheting either by starting a blog or selling finished items at craft shows. Sara has been a huge help to me already, and I look forward to learning more from her. Anyhow, I’m honored for Sara to think my website worthy enough to come on and share a free crochet pattern with you all. Sara, Thank you so much for taking the time to share your talent. If row starts with a sl st it will end with a sl st. If a row starts with a hdc it will end with a hdc. You might also enjoy this round coaster, or this pretty flower coaster pattern.